This week's photo is from Leslin of Sailing Prep. 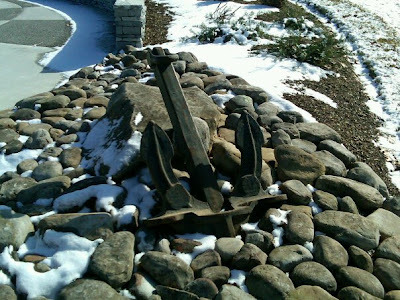 The anchor is a memorial that her yacht club just built for members who have passed and those lost at sea. What a beautiful gesture! So I think you should live on a houseboat. Yah? I mean you love all things nautical!! !